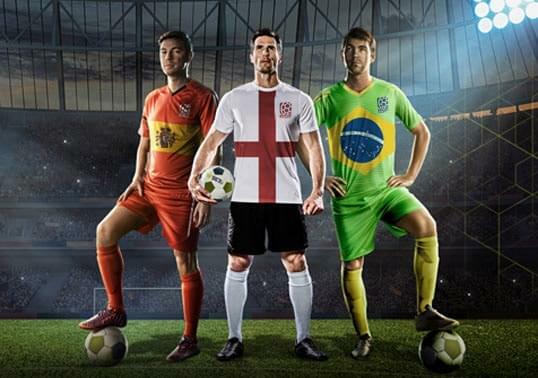 ISF is a multi-national body which host the world’s greatest small-sided football competitions. This includes an annual calendar of world championships, continental championships and champion’s league events. 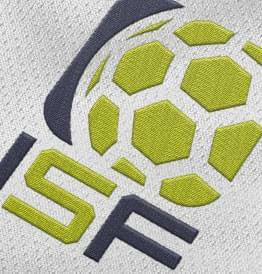 ISF matches and competitions may take the form of 5, 6 or 7 players per side, indoor or outdoor competition and may be played by national or club teams. These generic rules have therefore been created to cover all formats of the game and should be used as a guideline. Suggested variations have been incorporated within this document in order to cover the various forms of the game. 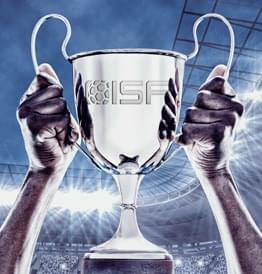 Specific tournament rules shall be published for each competition operated by ISF according to that particular event’s requirements. 1.1 The diagram shows that the minimum pitch size for a 5-a-side game of small-sided football is 30m x 50m. 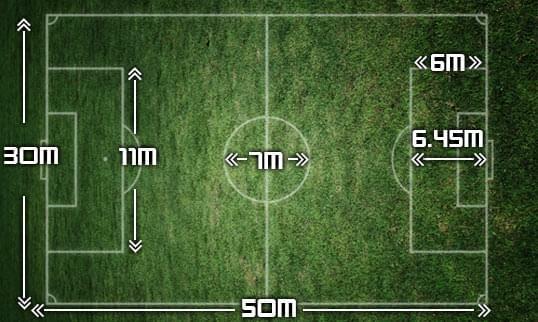 1.2 The minimum pitch size for a 6-a-side game is 35m x 60m. 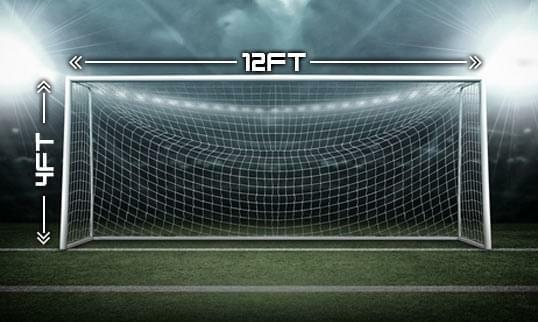 1.3 The minimum pitch size for a 7-a-side game is 35m x 65m. 1.4 The recommended playing surface is 3G artificial turf pitch. 1.5 The playing field shall be marked clearly with white lines, of 10cm thickness, to indicate the outer perimeter, central line, goal box, penalty box, center circle, center spot and penalty spot. 2.1 The diagram shows the minimum recommended goal dimensions for a 5-a-side game of small-sided football which is 12 ft. x 4 ft.
2.2 The minimum goal size for a 6-a-side or 7-a-side game is 12 ft. x 6 ft.
3.1 The recommended ball is size 5: 69-71cm in circumference and 410-450g in weight. 3.2 The ball may not be changed during the match without the permission of the referee. 3.3 If the ball goes out of play it will be thrown-in from the side-line. If the ball is lost, or out of bounds, a replacement ball shall be provided by the referee. 3.4 If the ball bursts or becomes defective during the course of the game then the game shall be stopped and a replacement ball will be dropped at the place where the first ball became defective. 4.1 Small-sided football may take the form of 5, 6 or 7 players per team, including the goal keeper. Each of the two teams must start with an equal number of players. 4.2 The recommended maximum squad size is 11 (5-a-side), 14(6-a-side) or 16 (7-a-side). 4.3 Players should be at least 16 years old. 5.1 Matches are officiated by two on-field referees who each patrol a flank of the pitch. 5.2 A third referee will administer substitutions at the halfway line on the side of the pitch where the benches are located and monitor the behaviour of the players, ensuring all substitutes are seated throughout the game. 5.3 The fourth referee, positioned at the table, will act as time keeper and keep a record of all scores, red and yellow cards and any other incidents in the referee’s match report. 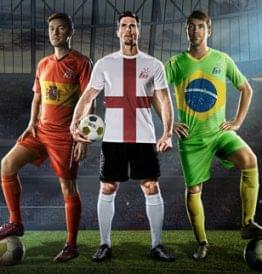 5.4 The referees officiating each game will not comprise of anyone of the same nationality as the two competing teams. 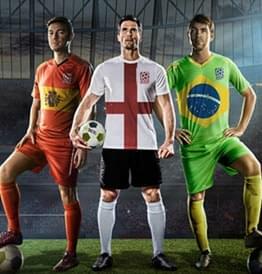 6.1 Each team should wear the kit specified to them in the tournament kit schedule which consists of jersey, shorts and socks. 6.2 All players must wear shin-pads, covered entirely by their socks. 6.3 Players are forbidden from wearing jewellery or any other items which may injure themselves or any other player. 6.4 Footwear must be appropriate for the playing surface. For 3G playing surfaces metal studs and blades are prohibited. 6.5 The goal keeper’s kit should be a different colour to the rest of their team. 6.6 In the case that a goalkeeper is substituted for an outfield player, the outfield player must wear a different coloured jersey or bib to the rest of the team. 6.7 Referees will wear black or yellow to avoid colour clashes with participating teams. 7.1 The duration of the game may vary according to the competition. It is recommended that games last for between 20 and 40 minutes. 7.2 There will be no stoppages in play unless there is a serious injury, foul or the ball become defective. 7.3 The referee must add extra time to the game if it was interrupted due to injury, deliberate delaying etc. 7.4 The game may be extended to accommodate penalties if there is a tied result at the end of regular play. 7.5 If a match is suspended part-way through, due to any unforeseeable circumstance, then the re-scheduled match will resume at the exact point at which it was suspended. 7.6 All teams are required to be at the pitch side at least 10 minutes before their kick off time. 7.7 If a team arrives more than 5 minutes late then they will forfeit the game and the opposition team shall be awarded a 3-0 win. 7.8 Time keeping shall be controlled by the fourth referee. 8.1 The team manager/ leader/ delegate must be in place at least 30 minutes before the start of the game to complete the match card. 8.2 The choice of ends is pre-determined by the match organisers. 8.3 For national team games, each squad must enter from the side of the pitch and walk out to the centre, forming a line facing the main side of the grandstands. After the national anthem is played for each team the team listed first in the fixtures (the ‘home’ team) will go along the line and shake hands with the referees and their opponents. 8.4 The decision over which team will kick off shall be determined by a by a coin toss. The winning team captain shall decide whether they prefer to kick off the first or second half. 8.5 To kick off, all players must be in their own half of the playing area. When the referee signals the ball shall be kicked from the centre mark by the team selected by the winner of the coin toss. 9.1 There are no ball height restrictions. 9.2 There is no offside rule. 9.3 Slide tackles are not allowed. General sliding to control or stop the ball is permitted only if there is no opponent nearby. 9.4 Substitutions are unlimited are may occur at any time during play, under the observation of the referee positioned at the halfway line. The exiting player must have left the playing area before the substitute player crosses the side line. If a player is injured they may leave the field from another point, but the player replacing them must enter at the halfway line upon authorisation of the referee. Play has been stopped by the referee for a foul, injury or any other reason. 10.2 Throw ins are awarded when the ball leaves the field of play over the side lines, to the opposing team to that which last touched the ball. 10.3 If the ball passes the goal line (but there was no goal) and the ball was last touched by the attacking team then the goal keeper must restart the game by a kick-off or throw in. 10.4 If a goal is scored the goalkeeper shall restart the game with the ball in their hands. 10.5 If the ball passes the goal line (but there was no goal) and the ball was last touched by the defending team then a corner is awarded to the attacking team. 10.6 A drop ball will be used to restart the game after a temporary stoppage, such as a serious injury, the ball bursting or the ball hitting a foreign object. 10.7 If play is stopped because a player has fouled, play shall be restarted by a free kick by the opposing team. If the offence is committed in the penalty area, a penalty kick is taken from the penalty line at the place nearest to where the infringement occurred. 11.1 A goal is scored when the whole of the ball passes over the goal line, between the goal posts and under the crossbar, unless it has been thrown, carried or intentionally propelled by hand or arm by a player of the attacking side, the goalkeeper included. 11.2 A goal may not be scored directly from a kick-off or a throw in. 11.3 A goal may be scored directly from a corner, free kick or penalty kick. 11.4 A goal may be scored if the ball goes directly from one goalkeeper to the opposing goal. 11.5 If a match is drawn, and a winner must be determined, there will be three penalties from each side, which alternate in turn. This will usually apply to games at the knock out stages of a ISF tournament and not during the group stages, unless otherwise stated. A coin toss between team captains shall determine which team is first to take their penalty. 11.6 If, before both teams have taken three penalties, one team has scored more goals than the other could score, even if it were to complete its three penalties, no more penalties are to be taken. 11.7 If the teams still cannot be separated after the first three penalties then the game will go to sudden death penalties until a winner is found. The players taking the sudden death penalties must be different to the players who have taken the first three penalties. A player who has received a red card may not take a penalty. 11.8 All players, except the player taking the penalty and the goalkeeper, must remain in the opposite half of the pitch to where the penalty is being taken. 11.9 If a team are more than 5 minutes late to their match the result shall be 3-0 in favour of the opposition. 11.10 If a team cannot play or continue to play due to injury, suspensions or red cards they will forfeit that game and the result shall be 3-0 in favour of the opposition. The player responsible for a kick off, free kick, throw in or corner touches the ball a second time before it is touched by any other player. 12.2 The free kick is taken from the place where the foul occurred. 12.3 Free kicks are taken from one-step back and the player must not extend their run up beyond this point. 12.4 The recommended distance between the ball and the opponents at a free kick is 5 meters. If an opponent is closer to the ball than the required distance, the kick is retaken. 12.5 A penalty kick shall be awarded to the opposing team if a player commits any of the offences listed at 12.1. inside their own penalty area. 12.6 Penalty kicks are taken from one-step back and the player must not extend their run up beyond this point. The players, other than the kicker, should be outside of the penalty area, behind or to the side of the penalty mark, and at least 5 meters from the ball. If an opponent is closer to the ball than the required distance the kick will be retaken if no goal is scored but will not be retaken if the player scores. If a team mate is closer to the ball than the required distance the kick will be retaken if a goal is scored but shall not be retaken in the player does not score. Denies an obvious goal-scoring opportunity to an opponent moving towards the player’s goal by an offence punishable by a free-kick or penalty kick. 12.9 A red card results in the exclusion of the relevant player for the rest of the game and their team will be reduced by one player for 5 minutes. The substitute who enters the field after the 5 minute period must not be the player who received the red card. 12.10 A player who receives a direct red card will be banned from playing in the subsequent game within any ISF tournament or competition. 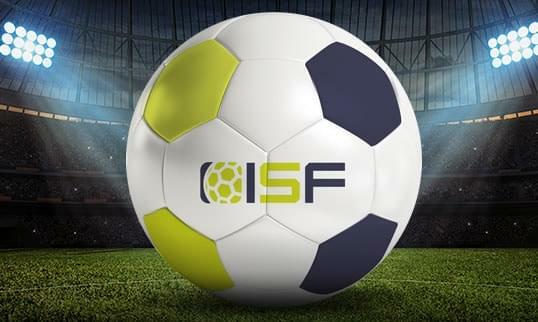 12.11 A player who receives a yellow card in two consecutive games is banned from playing in the subsequent game within any ISF tournament or competition. 12.12 The Tournament Director or Senior referee may exclude any player from the entire tournament for any serious offences. 13.1 The amount of teams which proceed from the group stage to the knock out stage of any competition shall depend on the rules of that particular tournament. Superior number of different goal-scorers of each team in question.